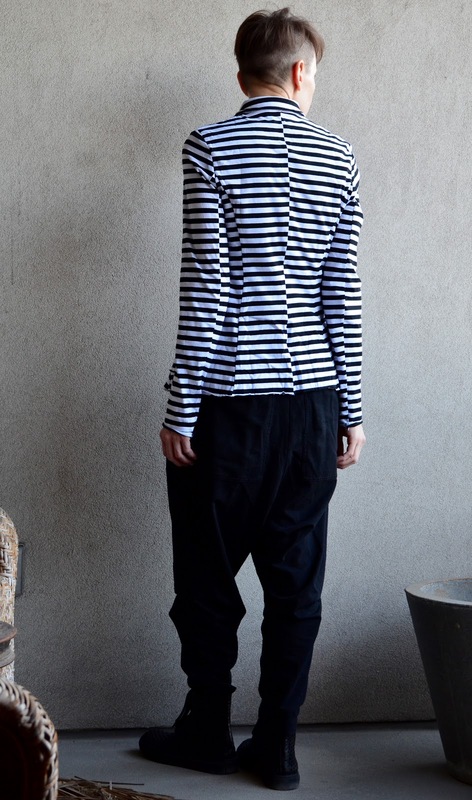 i adore the striped pieces (with the squiggles/doodles) in this s/s rundholz black label collection. i have acquired a few, some tops and a tunic. i have been waiting for the black and white stripes to make a reappearance in a rundholz collection since, i think, s/s 2014, when they last appeared in a collection. at that time, my rundholz obsession was in its nascent phase and i acquired but one striped piece (with an interesting character -- a pirate i am told -- on it). i am looking forward to bringing that piece out this s/s! 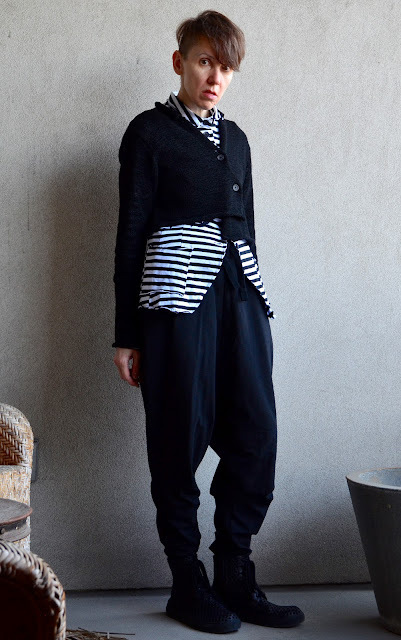 i am wearing rundholz black label s/s 2018 (jacket, cardi, trousers and sneaks). LOVE!! I covet your wardrobe!